Going for organic certification means that you are not allowed to apply ammonia to the soil. Until I spoke with Lee & Cindy Quaintance at Soaring Eagle Organic Farms, I hadn't known that ammonia was a soil amendment. I associated ammonia with fumes that are too toxic to breathe and with household cleaners. But, since anhydrous ammonia has a very high nitrogen content, farmers apply it to their soil as a fertilizer. Happily, anhydrous ammonia increases the yield of nitrogen-demanding plants such as corn. Sadly, it kills soil microbial life, the earth's natural nitrogen fixers. For most of us, grains are a large part of our diets. In a more sustainable food system, growing grain sustainably will be paramount. So, I was thrilled to find Soaring Eagle, a twenty five year old organic wheat farm less than an hour's drive from Kansas City. They rotate their primary crop of wheat with sorghum, soybeans, corn, and clover. At first glance, wheat looks like a crop of secondary importance in the U.S. After all, corn makes up 90% of the grain grown by U.S. farmers! Upon closer inspection, people don't directly eat most of that corn. A good chunk (36%) is fed to animals. Another chunk (40%) is used in ethanol production. A lot of what we eat replaces sugar in our diets, in the form of high fructose corn syrup. When it comes down to what we actually eat in the form of corn-on-the-cob, cornmeal, corn flour, grits, and whatnot, it is but a tiny fraction of what farmers grow. As it turns out, in the United States, we grow far more wheat than corn for human consumption. Lee and Cindy currently grow 35 acres of that wheat. Lee and Cindy bought the land for their Edgerton, Kansas farm in 1989. At that time, the organic matter in the soil was 1/2 %. Typically, the amount of organic matter in most soils varies from 1 to 10%. So, the organic matter was very low. This brings me back to anhydrous ammonia. According to Cindy, farmers in this area use anhydrous ammonia as a low-cost, highly effective nitrogen-based fertilizer. But it also breaks down the organic matter in the soil and kills the beneficial micro-organisms. Lee has spent the last twenty five years improving his soil. For example, the soybeans and clover that he rotates in with the wheat build up the nitrogen levels. Lee lights up, when talking about organic matter in the soil. The farm now sits on 97 acres, of which 70 acres are tillable. Organic matter is up to 8%. Lee credits a good part of this improvement to the use of clover as part of their crop rotation. I was shocked to find out that the Quaintances are able to grow their crops without irrigation. Over the last few years, the public has been inundated with dire warnings about the depletion of aquifers, prolonged droughts, and the predicted collapse of our current agricultural system due to lack of water. There are parts of Texas and Kansas where farmers can’t pump enough water from the aquifer to meet the demands of their crops. California is facing the worst drought in a generation. Evidently that is not true of the eastern portion of Kansas, where Soaring Eagle lies. Although they have to battle weeds and deer, their most difficult challenge is a wet year. Some years, the ground is just too wet to run large pieces of planting and harvesting equipment. During World War II, anhydrous ammonia was used to harden the ground to make runways for aircraft. If they weren't growing certified organic wheat and they weren't busy increasing the organic matter in their soil, they could use anhydrous ammonia for a similar purpose. In the past, they have lost crops to overly soggy conditions. Cindy explained that in their area, this is the biggest risk of farming organically versus conventionally. Lee's attention to soil management may help account for their independence from irrigation during dry years. The capacity of soil to retain water depends on soil texture, organic matter, and biological activity. Lee focuses on nutrition in his soil. In addition to soil testing, he still uses a reference book from the 1950's, "Weeds and What They Tell Us", by Ehrenfried E. Pfeiffer. From this book, he knows that the cocklebur weed prospers when there is a zinc deficiency. If Lee sees a lot of cockleburs, he will consider adding zinc. 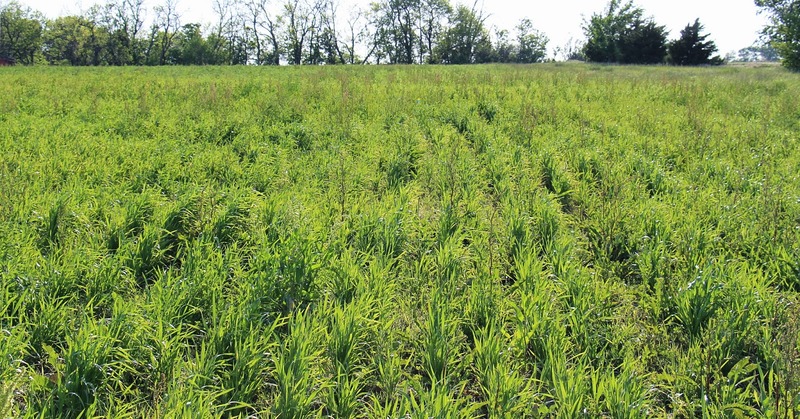 By managing weeds with soil nutrition, there are fewer weeds and less tilling is necessary. By practicing crop rotation, Lee and Cindy decrease pest and disease pressures. Mono-cropping is like putting out a big welcome mat to all the bugs and disease that like a particular crop. Bringing diversity to the farm lets them reduce the amount of tilling needed. Reduced tilling increases the amount of water that infiltrates into the soil, increases organic matter retention, and decreases erosion. Lee and Cindy still find they must till their soil at least once each year. Of their 70 tillable acres, 35 acres are devoted to wheat. This is extremely small for a wheat farm. In 2007, the midpoint acreage for wheat farms was 910 acres. That is to say, half of all wheat farms were smaller and half were larger. According to Cindy, more than anything else, their small size makes it difficult to turn a profit. Larger farms utilize labor and capital more intensively. 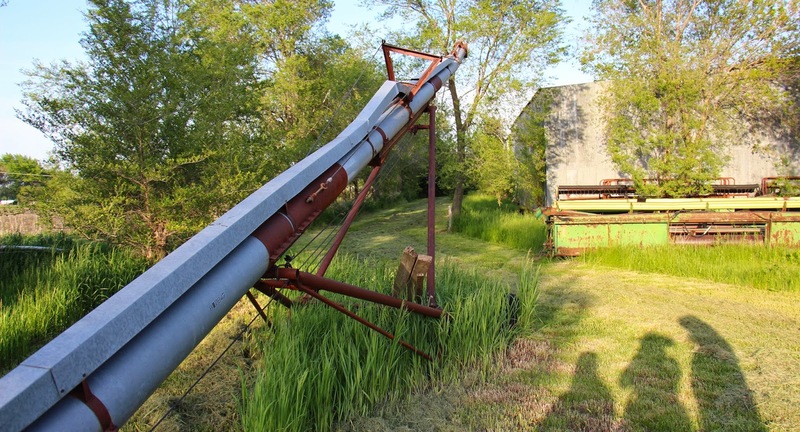 Small farms must rely on large pieces of equipment, even if they farm a small area. As we walk the farm together, I can see the expensive machinery throughout. Lee explains how they use a screw conveyer to lift the wheat into their grain storage bin. It looks small and uncomplicated, until I walk over and stand beside it. On a larger farm, part of the farm may be affected by disease, but other parts may continue to flourish. On a small farm, one problem may result in a total loss. Farm subsidies are tilted toward large farms. Although the goal of federal farm bills since their inception has been to help family farmers stay in business through the hard times; in fact, it has come to do just the opposite. The numbers are a bit hard to parse, but the Environmental Working Group has done a nice job with their farm subsidy database. Their reports suggest that the larger the farm, the larger the subsidy. Most farmers (62%) have not collected any subsidy payments. Of those that have, the bottom 80% received an average of $604/year. The top 10% received an average of $32,043/year. Soaring Eagle has been at this for twenty five years and has experienced these difficulties of small-farm farming first hand. In order to make Soaring Eagle Organic Farms profitable, they market directly to consumers. 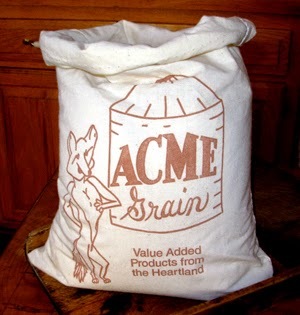 They don't sell their grain at the local farmers' co-op. They would be hard-pressed to sell their organic wheat at a farmer's market. A grain of wheat just doesn't have the street appeal of a juicy, sweet strawberry. They grow a portion of their grain under contract. For example, they grow their hard red winter wheat for a wheatgrass grower and send them the seeds. For many farmers, the co-op sets the price for their grain, and this price varies. If Lee and Cindy sold conventional wheat through the co-op, they might get $6/bushel. By growing organically and marketing directly to consumers, they get $16.50/bushel. And Soaring Eagle needs to find markets for all of their crops, not just wheat. They have developed a niche market in organic chicken feed. They mix a blend of their grains and sell it as organic chicken feed, in bulk only. As I discovered, when I visited Many Fold Farm, organic farmers have to search for their organic animal feed. Cindy reports that farmers come from as far as 100 miles to buy their chicken feed. According to Cindy, even with all this marketing savvy, if Soaring Eagle were any smaller, they could not be profitable. Cindy is buoyant as we discuss the vagaries of farming. She has a turn-lemons-into-lemonade attitude. She explains that organic certification requires the farm to keep a 25' buffer from their chemical-spraying neighbors. Nothing growing in that area is allowed to be certified organic, due to the potential for wind-drift of toxic chemicals. This might bring up anger and resentment in most people, but at Soaring Eagle, they take advantage of the situation. Rather than wasting the space, they keep a moving pen for Cornish cross chickens. Their teenage son, Nathan, takes an active part in the daily maintenance required of manually moving the pen. He proudly shows me some of the multi-colored eggs the chickens produce. The grass in the buffer zone is lush and thick, benefitting from the chicken manure left behind as the pen moves along. Once grown, Cindy direct markets live and processed chickens to their customers. The bureaucracy of certification standards may serve up a few sour lemons. But Cindy and Lee Quaintance know how to turn them into some tasty lemonade! Data on corn came from "It’s Time to Rethink America’s Corn System", by Jonathan Foley.